*The United Farmers of Alberta executive member Mr. Rice Sheppard stated, “The force in Alberta will be called U.F.A., M.I.C., L.O.F., the letters standing for United Farmers of Alberta Mounted Infantry Command, Legion of Frontiersmen.” Ref: The Grain Growers’ Guide, Page 20, March 29 1916. 1916 – ’17, United Farmers of Alberta Mounted Infantry Command* or “Corps” in the local newspaper, was formed by an agricultural association that was recruited by the Legion of Frontiersmen to provide mounted rifles in outlying areas around the City of Edmonton. “Capt. Rice Sheppard stated 600 men had signed up out of the U.F.A. for a mounted corps.” The UFAMIC reported formations in Edmonton, and in the rural villages and districts of St. Albert, Bremner, Stony Plain, Spruce Grove, Winterburn, Horse Hills, Belmont Park, Clearwater, and Leduc. 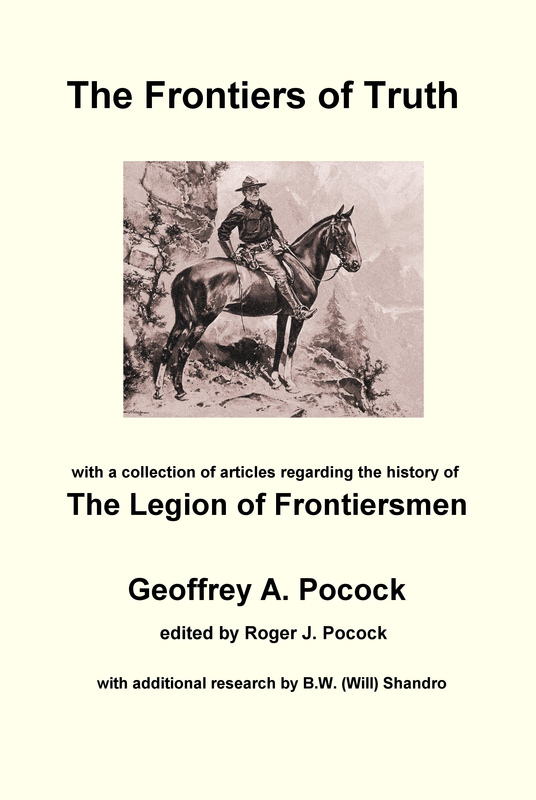 Ref: LEGION OF FRONTIERSMEN NOTEBOOK [online]. The United Farmers of Alberta Mounted Infantry Command photograph, compliments of the Strathcona County Museum and Archives (Boag Family), was brought to the attention of the Legion of Frontiersmen via the efforts of Mr. M. C. Boyd. To date this is the only known photograph of the United Farmers of Alberta Mounted Infantry Command, Legion of Frontiersmen. Shown are six members of Bremner District wearing Stetson hats common to the Canadian West. This writer is confident that the two members in the colonial style slouch or “bushranger” hats are from Edmonton Command of the Legion of Frontiersmen. The L.O.F. including the U.F.A.M.I.C. morphed into a politically acceptable Edmonton Battalion of Reserve Militia or “R.M.” in the news of the day. Interestingly, the ongoing Edmonton newspaper reports headed “Military Gossip” or “Military Orders” occasionally had the Legion of Frontiersmen badge preceding E.B.R.M. information, leaving no doubt as to Legion of Frontiersmen genesis. Ref: Glenbow Photo Archives and the Edmonton Bulletin. Mr. M.C. Boyd commenting about this historic photograph given to the Strathcona County Museum and Archives wrote: “We received it from the Boag family photo album and two people are identified in the album. Third from the left is Archibald Boag and standing right behind the little girl is J.C.C. “Chas” Bremner. … J.C.C. Bremner died in 1928 at the age of 60. If this photo was taken in 1916 or 1917 he would be 48 years old in this photo (too old for active service).” Ref: Email 08 January 2019. In 1916-’17 the Bremner District was an agricultural area with established farms of 160 acres or larger located immediately east of the small capital city of Edmonton, Alberta. Today this district is in Strathcona County which is home to Canada’s Legion of Frontiersmen War Memorial honouring the British Empire’s 9000 Legion of Frontiersmen war service casualties. The two newspaper extracts below comment on the role of the UFAMIC Legion of Frontiersmen, including the Bremner District, mounted units. Ref.EDMONTON BULLETIN. Edmonton Daily Bulletin, ‘Mounted Division’ Extract 1. Edmonton Daily Bulletin 1917 ‘Mounted Division’ Extract 2. Article © 2019 Barry William Shandro. All rights reserved. This article may not be reproduced in any form, in part or in full, without prior permission. This entry was posted in Canada, History, Legion of Frontiersmen and tagged United Farmers of Alberta Mounted Infantry Command. Bookmark the permalink.